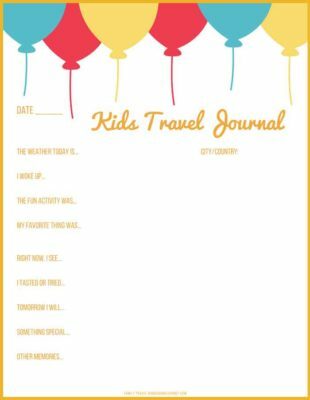 As families who travel a lot, finding ways to remember the fun means finding some travel journal ideas. 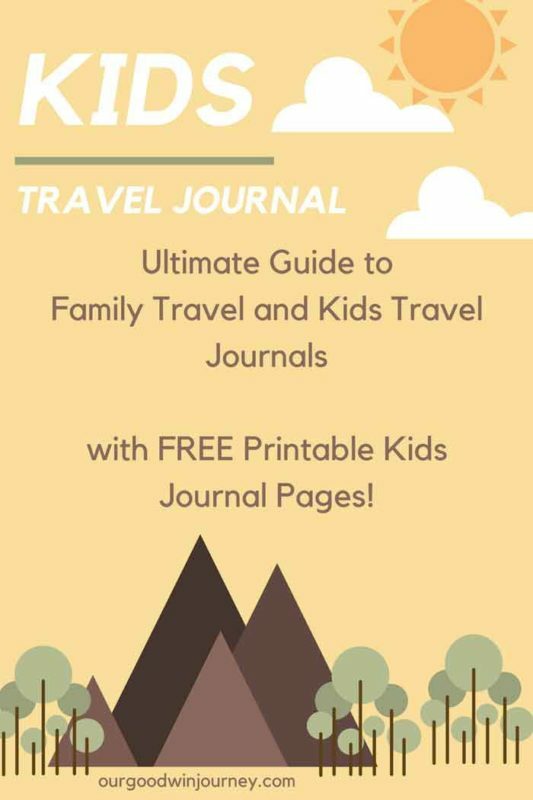 Whether you homeschool on the go like we do sometimes or are going on vacation and want your kids to have a way to jot down the details and memories of their days, you need a format, a guide, a journal of sorts made just for travel. 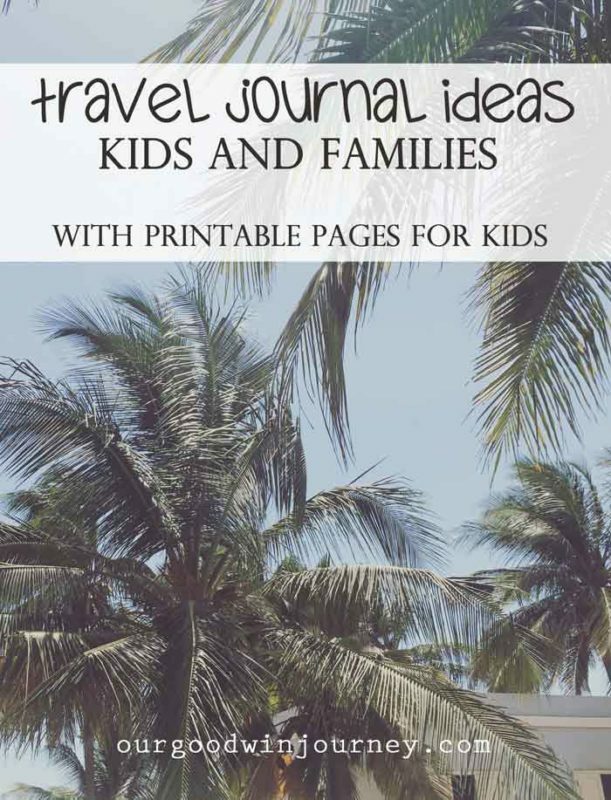 Travel journal ideas that will spark their interest, build their creativity and give them a memorable way to keep track of each family journey. Family travel journaling is something we’ve done on and off over the years. Finding travel journal ideas is not always the easiest thing to do. And, making sure to have a journal on hand when you need it can also be challenging. In all of our searchings for travel journal ideas, I decided to created something super simple and basic. 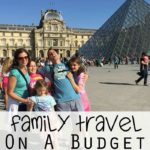 A family travel journal that would be a continual list of places we’ve been, airports, countries, foods, languages and so on. We could fill it out, put it in a binder and keep updating it year after year, journey after journey. A one place keep all for family travels around the world. Get our 20 page family travel journal here. But that didn’t help me with the day to day memories of our girls. What did they want to remember and write down? How could they do that in a way that wouldn’t seem like “school” or be too much writing? Was there just a simple 1 page guide to help them record the fun, important memories of each day? So, as a companion to our family journal, I created this for my girls. It can be printed page by page or in full to get as many pages as you want. Put it in a binder or folder and you are good to go! Now, after you grab both of those journals, you still might be looking for a book or travel journal as a gift for your kids. 1} Lonely Planet – My Travel Journal and their My Family Travel Journal Map are both great ideas to start! 4} Ooly Pocket Pal Journals – comes in a pack of 8 with 6 different styles to choose from! 5} Postcard Journaling – I LOVE this idea! Grab a postcard each day on your travels, write family memories on the card, hole punch the corner and gather together with a ring for a creative travel journal! 6} Letter Writing – Have your kids write themselves a letter each day. This pack of 48 colorful blank note cards with envelopes will help them create a letter box of memories to read one day. 7} Blank Index Cards – Give each of your kids a pack of 100. Have them draw, write, color, bullet journal, record memories… options are endless. Be sure to have a special box for the letters or the cards. Something like this would work great. 8} Sticker Journal – Go crazy with some fun stickers and let your kids put together a journal, notebook or card with stickers to remember the day. 9} Conversation – Do you know that kids remember things best when they are spoken? It is true. 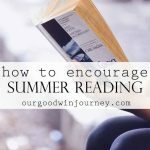 Stories told over and over will stick with them longer than some cute pinterest printable. So along with the journals, have them tell you the story out loud or you tell your memories of the day. This will help spark their own memories and give them a way to put the fun of your travels into words. 10} Expandable Folder Collections – These colorful letter sized folders would be a great place to store tickets, pamphlets, postcards, papers, maps and other collectables from each destination. You could also keep one large expandable folder for the whole family! Each adventure can be labeled and your family treasures filed safely in one place. Families who are on the move need ways to remember and record the journeys. 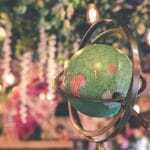 As we begin another big year of travel, I’m excited to give a few of these ideas a try. I want our girls to have tangible ways to record their memories… and have some fun while doing it! 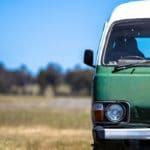 How do you keep track of your family travels and memories? What travel journal ideas can you add? 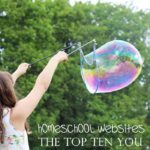 Homeschool Websites – Top Ten You Need to Know!